Ph.D. Architect from the School of Architecture of Barcelona (ETSAB) and Professor at the Department of Architectural Technology of the Polyechnic University of Catalonia (UPC) until 2016. Ph.D. Architect from the School of Architecture of Barcelona (ETSAB). 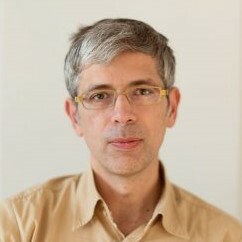 Professor of the Polytechnic University of Catalonia (UPC) until 2016. Accreditated as Full Professor by AQU. Ph.D. in Microbiology and Honorary Professor in the University of Barcelona (UB). Telecommunications Engineer from the School of Engineering and Architecture of “la Salle”, Ramon Llull University. Expert in control and regulation systems. Architect and researcher from the National University of Buenos Aires. Expert in Bioclimatic Architecture. Engineer of Materials from the School of Industrial Engineering of Barcelona (ETSEIB), Polyechnic University of Catalonia (UPC). Master in Architecture and Sustainability at the UPC School of Professional and Executive Development. Expert in Bioclimatic Energy Analysis Software. Architect from the School of Architecture of Barcelona (ETSAB), Polyechnic University of Catalonia (UPC). Master in Architecture and Sustainability at the UPC School of Professional and Executive Development. Expert in the Spanish Technical Building Code (CTE) and Building Energy Rating. Architect from the School of Architecture of Barcelona (ETSAB), Polyechnic University of Catalonia (UPC). Master in Architecture and Sustainability at the UPC School of Professional and Executive Development. Expert in Bioclimatic Energy Analysis Software. Architect from the National University of Buenos Aires. Master in Architecture and Sustainability at the UPC School of Professional and Executive Development. Accredited expert in LEED Certification, Spanish Certification and Green Rating. Architect from KU Leuven, Faculty of Architecture. Master in Architecture and Sustainability at the UPC School of Professional and Executive Development. Accredited expert in Passivhaus Standard PASSIEFHUIS-PLATFORM VZW.